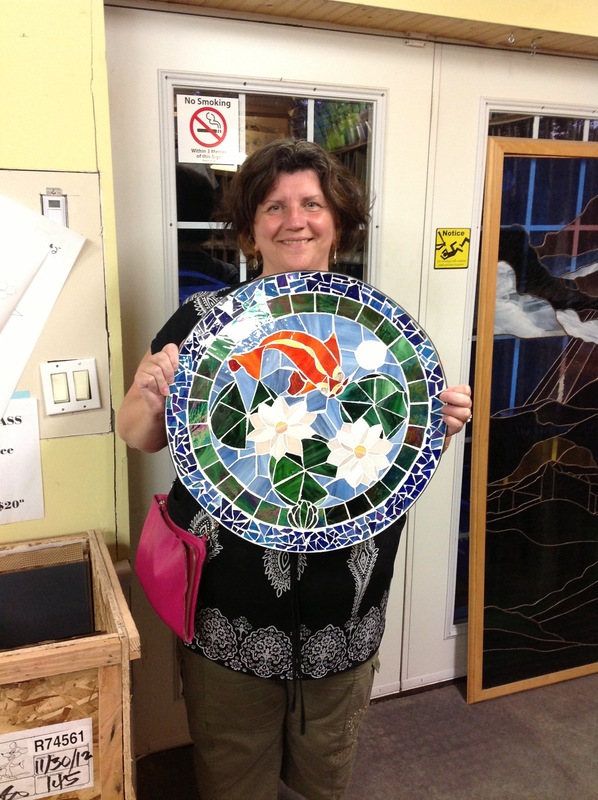 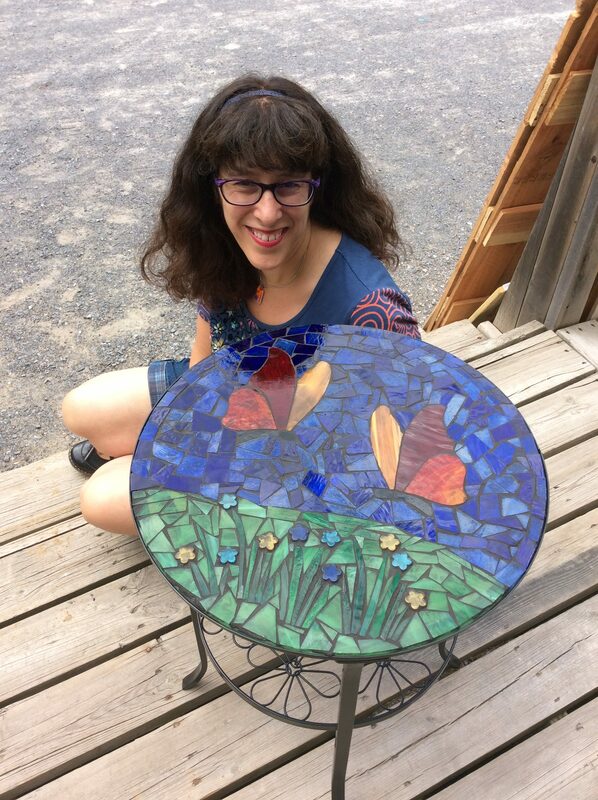 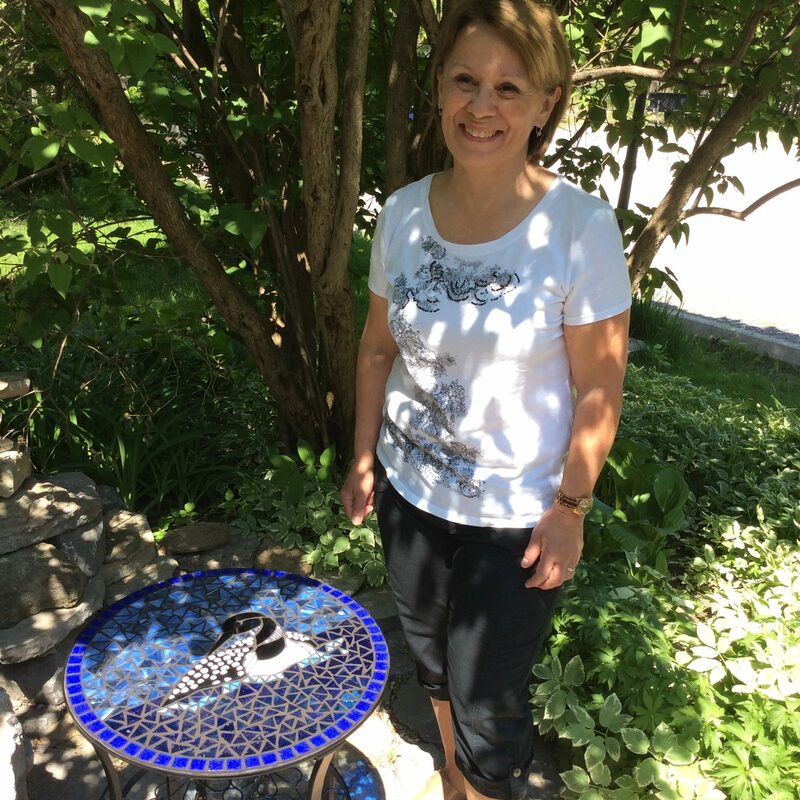 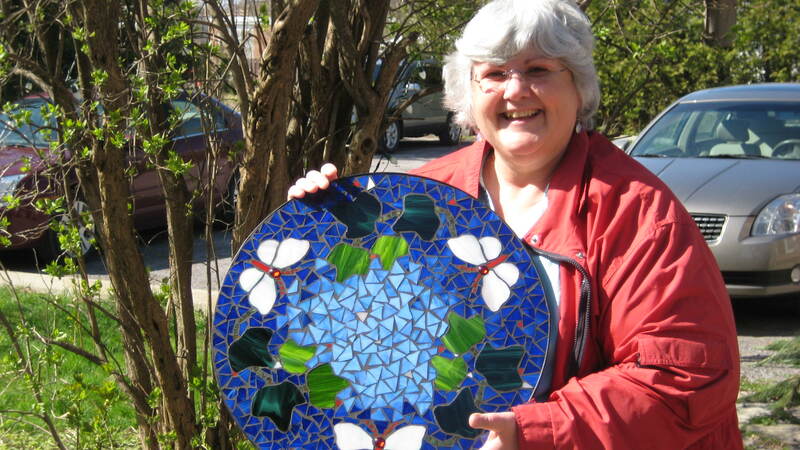 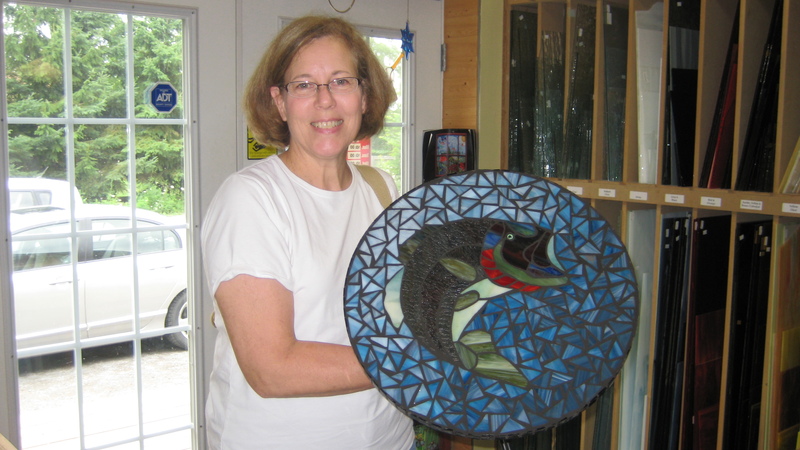 Students will create a beautiful 19″ round mosaic table top using stained glass and/or glass mosaic tiles. 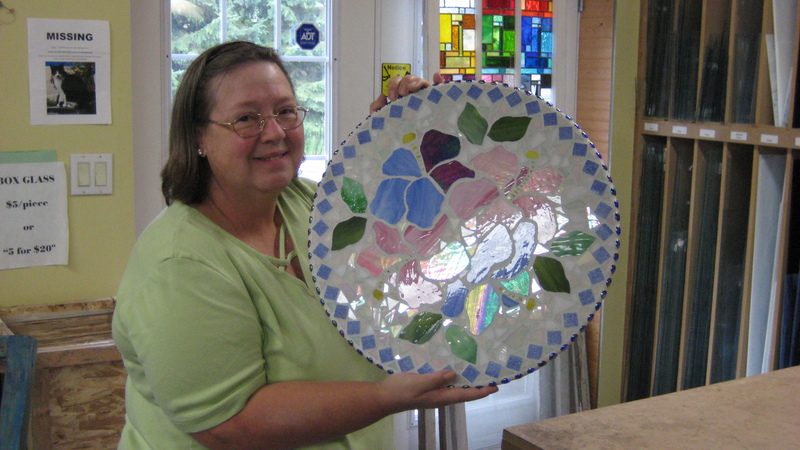 The course fee includes a metal table base and clear glass top, stained glass, tiles, adhesive and grout. 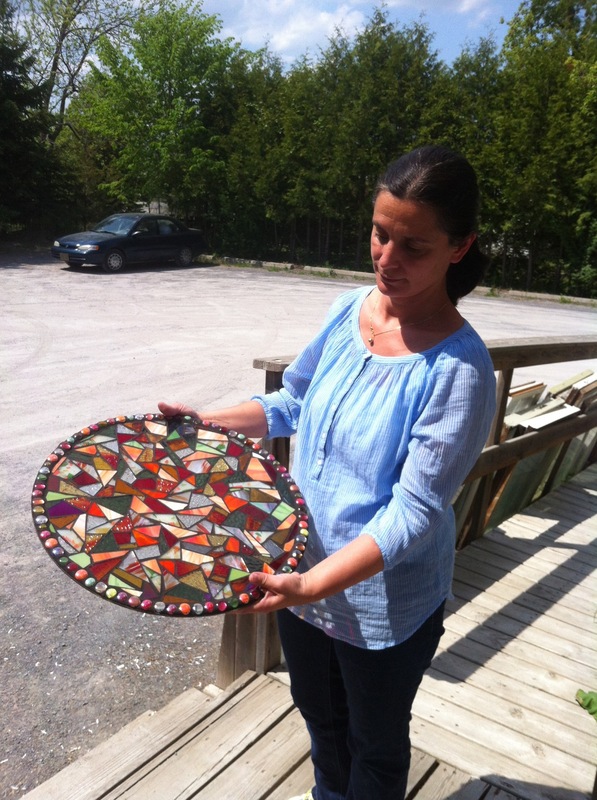 A selection of pattern ideas will also be made available.